“Leisurely stroll”. βόλτα is a noun meaning ‘turn’ and also ‘walk’, ‘stroll’. 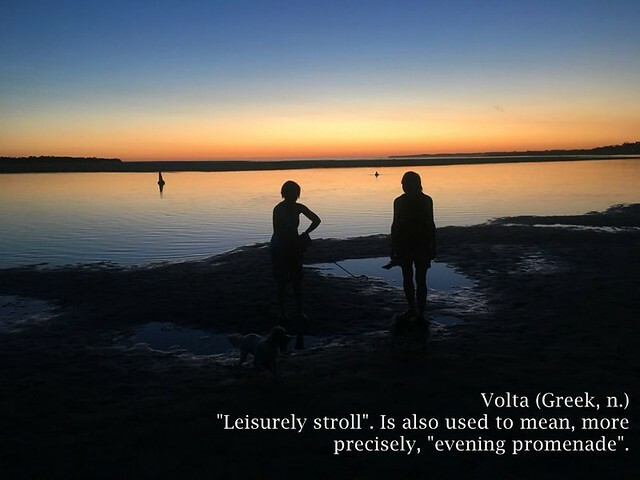 The word βόλτα is also used to mean, more precisely, “evening promenade”.